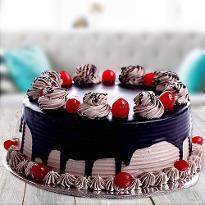 Send your lover a delicious cake through Winni and make a special place in his/her heart. 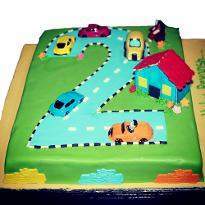 Winni has special Valentine’s Day cake category consisting of some delectable cakes in many flavours, curated especially for this occasion. 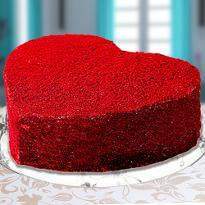 So, place your order and get the midnight Valentine’s Day cake delivery in Allahabad to surprise your special one residing there. Valentine Day is the day when love birds all around the globe communicate their unending affection toward their significant other. 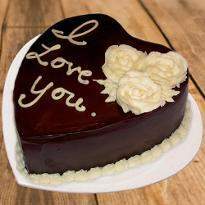 If you want to spoil your special someone on Valentine's Day, you can send Valentine cake at the doorstep of your special one by using our online Valentine cakes delivery service in Allahabad. 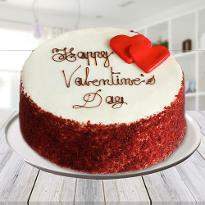 We, at Winni, give you a gigantic assortment of lip-smacking Valentine's Day cakes which are available in flavors, designs, sizes as well as shape. 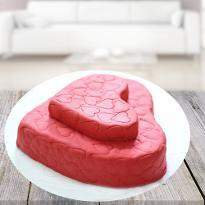 Regardless of whether you want to make your dear one feel extraordinary or wish your beloved extremely Happy Valentine's Day, you can do that with a heart-shaped Valentine cake in Allahabad. 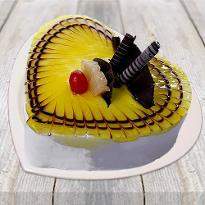 Our hypnotizing Valentine cakes with incredible taste will surely win the heart of your dear one. 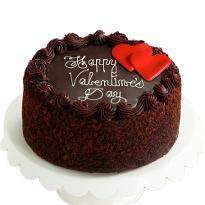 You can order cake from our amazing Valentine cakes collection. 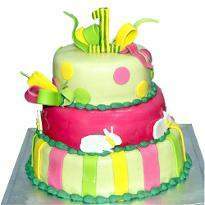 If you are searching for an assortment of flavors in a Valentine cake at that point, Winni is the perfect online cake store for you. 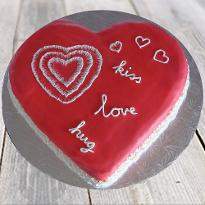 We have an expansive assortment of Valentine's Day cake that we have included for Valentine’s day. 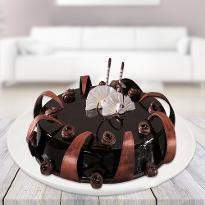 You can discover black forest cake, blueberry cake, red velvet cake, pineapple cake, vanilla cake and many more. 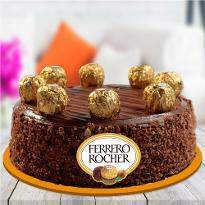 So, explore our Valentine cake collection and pick the perfect cake for your special one. 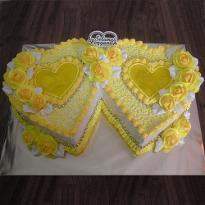 Ordering and sending Valentine Day cake isn't that simple task particularly on Valentine Day. You need to visit numerous bakery in search for your most loved flavors. 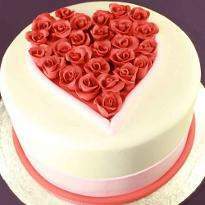 Perhaps, now it has become much easier to send Valentine cake online in Allahabad as Winni is here with its flawless delivery service. 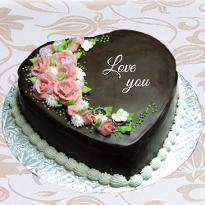 Hence, you can now easily surprise your beloved by ordering and sending Valentine cake online in Allahabad at midnight. At Winni, you can find all sort of flavors online on our site and everything necessary is just a few clicks, and your order is done. 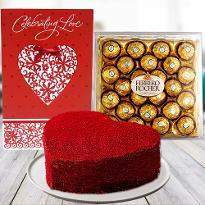 Reach into the heart of your special one by sending Valentine cake to their place from our online store. 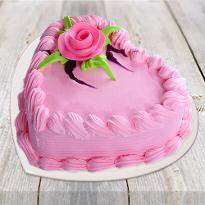 Yes, we provide a hassle-free online Valentine cake delivery in Allahabad. Since love knows no limits and if you are away from your sweetheart on Valentine day, it tends to be exceptionally agonizing. 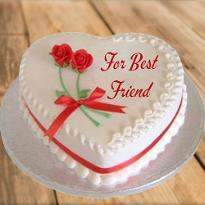 In any case, regardless you can reduce the pain by sending the token of your affection as cake. 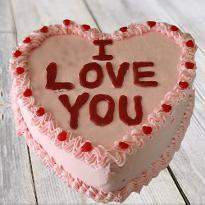 You can include a personal message along with your Valentine cake. 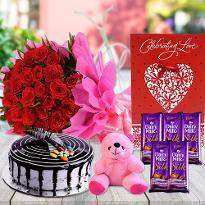 You can likewise include roses and Valentine gifts to increase the delight of the event. 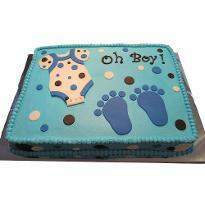 Since we care about your event and feelings, you can make sure that your Valentine cake will get delivered securely.